Expanding from Taiwan, Tagtoo is the only award receiver in “Shopping Innovation” category. 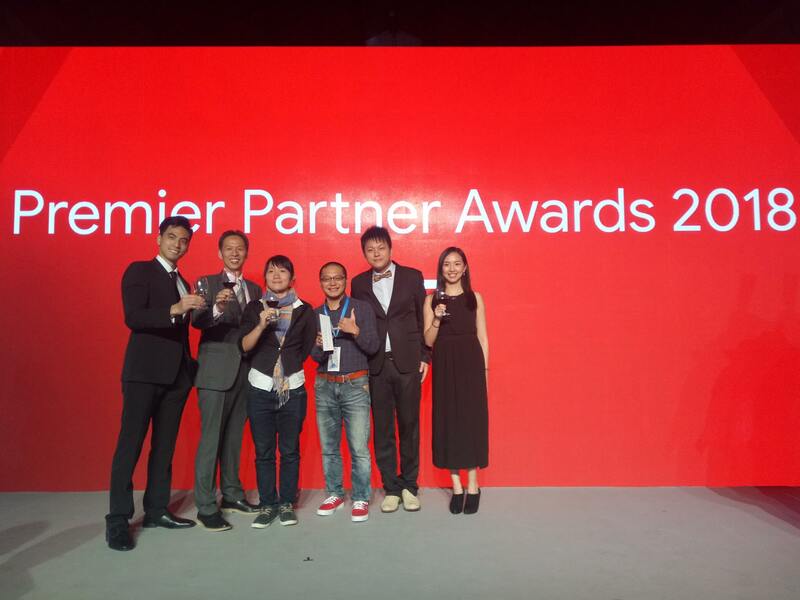 Tagtoo, a Taiwan-based digital advertising agency, won “Shopping Innovation” in 2018 Google Premier Partner Awards in Greater China region. Tagtoo successfully stood out by defeating international agencies and local players. It makes one of the important milestones for Taiwan digital advertising scene. The establishment of Google Premier Partner Awards aims to honor digital agencies that make an innovative contribution to the category of Search, Mobile, Display, Video and, Shopping. Only digital agencies that have reached the top notch badge, also known as Google Premier Partners, are entitled to participate in the annual competition. Tagtoo has been famous for performance-based e-commerce solution in the Taiwan market. Our industry-leading advertising technology enables more precise ads delivery. The innovative solution cements our leading position In the increasingly competitive digital landscape of Greater China. Prior to the public launch of Google Shopping Ads in Asia, Tagtoo had accordingly been developing auxiliary technology to accelerate the preliminary setting process, inventing an artificial intelligence-powered visual system to sort millions of items by categories. These technologies developed greatly shorten the barrier of entry of using Google Shopping Ads. According to Tagtoo’s self-built database, advertisers who used Google Shopping Ads see a significant growth in both transaction counts of the entire website and conversion rate of new visitors, namely those never purchased before. The performance of Google Shopping Ads is one of the best among other types of ads. it creates new momentums for e-commerce that is experiencing stagnant growth and is at a staggering development stage. Tagtoo specialized in managing Facebook Ads, and Google Ads with data-driven strategies and proprietary technology. Over 80% of Taiwan e-commerce has adopted Tagtoo’s solutions to drive sales.